Bonnyrigg Rose and Whitehill Welfare are in Scottish Cup action this weekend with clashes against Deveronvale and Edinburgh University respectively. The Rose travel to Aberdeenshire to visit the Highland League opposition on the back of an emphatic 5-1 win over Blackburn United in the South Region Challenge Cup with Keith Lough and Louis Swanson both grabbing doubles. Bonnyrigg’s squad are staying overnight in Aberdeen on Friday before making the 45-mile trip up to Banff. The Rose supporters’ bus is due to leave New Dundas Park on Saturday morning at 8am for its marathon trip up north. Deveronvale, meanwhile, lost their sixth league game in ten following a 2-0 defeat to Huntly. Whitehill Welfare will be hoping to improve on last week’s showing after their 1-0 loss to Gretna 2008. The Edinburgh Uni students will be confident mood after their 2-0 win over Oakley last weekend, Welfare have had a difficult start to the season, losing seven of their opening eight games and sit bottom of the Lowland League table after Selkirk resigned from the league. Saturday’s Scottish Cup local first round ties, kick off 3pm. Whitehill Welfare v Edinburgh University, Deveronvale v Bonnyrigg Rose, Burntisland Shipyard v Cumbernauld Colts, Dalbeattie v Kelty Hearts, Forres Mechanics v Civil Service Strollers, Gala Fairydean v Lossiemouth, Gretna 2008 v Vale of Leithen, Nairn v Beith, Strathspey v Coldstream, Wick Academy v Auchinleck Talbot. Meanwhile, it was mixed fortunes for the rest of the Midlothian sides last weekend as Arniston Rangers began the weekend with a 4-0 defeat against Cumbernauld Colts despite going in level at the break. Also edged out of the Cup were Dalkeith Thistle, who were beaten 2-1 at home to Lowland League side Stirling University, while Easthouses Lily lost 3-2 away to Ormiston. Newtongrange Star scraped through after a George Hunter strike gave them a 1-0 win over Dunbar United, but it was Penicuik who stole the headlines after a thumping 11-2 win over South of Scotland outfit Nithsdale Wanderers. Aaron Somerville bagged another four goals while there was a first goal for Wayne Sproule in over two years after a nightmare season with injury. Penicuik are back in action this weekend against Musselburgh Athletic in a Football Nation Qualifying Cup second round encounter at Penicuik Park (kick off 2.30pm). Musselburgh received a bye in the first round while Penicuik eased past Haddington Athletic in a 5-1 win in round one. Musselburgh go into the clash on the back of a 1-0 win over Gala Fairydean Rovers. Newtongrange Star, meanwhile, resume league action in Conference A when they face Oakley on Saturday. The two sides drew 1-1 earlier in the season. Arniston will be hoping to bounce back from their Colts humbling against Peebles Rovers, whom they beat 3-0 on the opening day of the new season. Dalkeith Thistle will be looking to shake off the disappointment of an early Cup exit when they travel to Camelon for their third round Alex Jack clash. Thistle have beat Leith Athletic and Musselburgh to reach the stage, while Camelon received a bye before beating Sauchie 3-2 at Carmuirs Park in the second round. Easthouses Lily have a home fixture on Saturday in the League Cup preliminary round hosting East Lothian’s Dunbar United, as both the Lily and the Seasiders look to bounce back from Challenge Cup defeats last Saturday. The winner of this tie will gain a first round tie against Broxburn Athletic at home. Fixtures Saturday: Alex Jack Cup 3rd round: Camelon v Dalkeith Thistle. 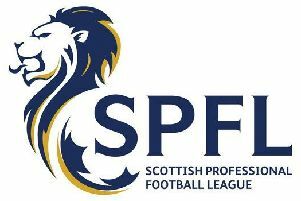 Football Nation Cup 2d Round: Penicuik Athletic v Musselburgh Athletic, League Cup Preliminary Round: Easthouses Lily v Dunbar United, East of Scotland League Conference A: Oakley United v Newtongrange Star, Peebles Rovers v Arniston Rangers.